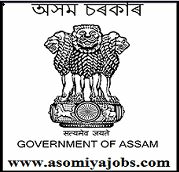 Public Relations Department, Assam was established in June 1940 at Shillong, the then Capital of the State. It was named Publicity & Rural Development Department at the time of inception. The main objective behind setting up of the Department was to disseminate war propaganda in the wake of the Second World War and to uphold public morale in support of the Allied Power. i) Class VIII pass certificate. ii) Birth certificate or Class VIII passed Certificate with Date of Birth mentioned from Head Master/ Principal of the school attended last. Candidates who have passed HSLC/ equivalent examination and above can submit their HSLC/ equivalent examination passed certificate for age proof. iii) Certificate of Caste from the competent authority in respect of the candidates belonging to ST (P) / ST (H) / SC / OBC & MOBC. iv) Up to date Employment Registration certificate.